Many U.S. Merchants Continue to Balk at Accepting NFC Wallets; One Reason: Suspicions that Wallet Providers Could Get Their Data | NFC Times – Near Field Communication and all contactless technology. 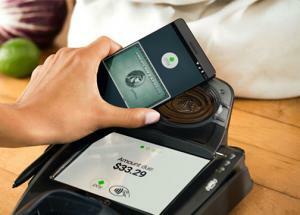 Major U.S. merchants are not lining up to accept NFC-enabled wallets, such as Apple Pay and Android Pay. Among the reasons is a stubborn fear that wallet providers might be able to capture some valuable customer data that could benefit competitors. NFC Times Exclusive – Few industry sources agree on the size of the contactless-acceptance footprint in the U.S. that enables merchants to accept Apple Pay and other NFC-enabled wallets; but one thing most of them do agree on is that contactless acceptance is not sufficient to support any kind of significant adoption of the wallets. Relatively few tier-one merchants have announced they would accept contactless payment at checkout counters since Apple Pay launched in the U.S. 18 months ago. NFC Times recently talked with representatives of two major U.S. retailers, Wal-Mart Stores Inc. and The Home Depot, and asked why they are not adopting the technology. The merchants said costs to equip and activate point-of-sale terminals to accept contactless are not the main issue holding them back. Rather, they said it is fear that if they accept any NFC wallets, they will have to accept all of them, and among the providers of those wallets could be their competitors. Article has about 2900 words.